At Autos Noroeste we periodically renew our fleet of chauffeur-driven rental vehicles. 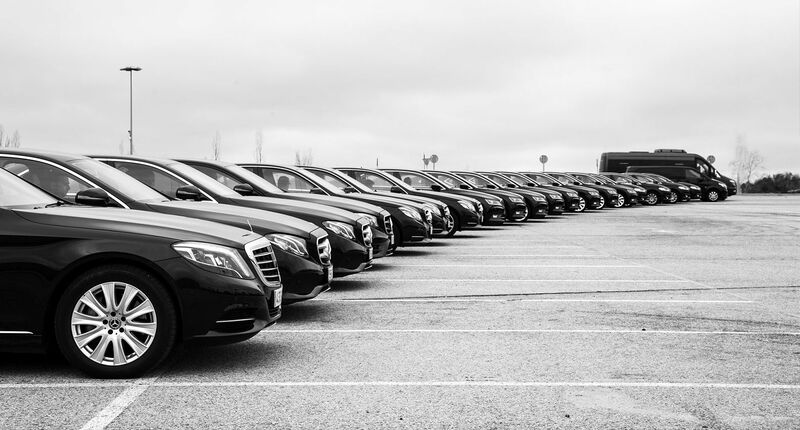 We acquired 20 new vehicles, and our fleet has an average age of under 2 years. Our vehicles are all black and have all the necessary features for your comfort: leather seats, xenon headlights, the most advanced safety systems. 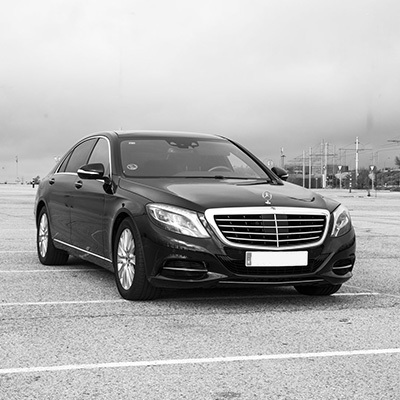 We possess a large and varied fleet of over 50 vehicles to cover any of your needs at any time: 4-seater automobiles, luxury minibuses with a capacity of up to 18 passengers and buses with a capacity for between 12 and 60 passengers. You will find very comfortable standard vehicles in our fleet, as well as the most luxurious ones with all available extras. This way, you can choose the vehicle that best suits your needs, your budget and the impression you want to make. Remember that our sales staff are at your disposal to help you choose the vehicle that best suits your needs. This is the Skoda SuperB, black-coloured and with leather seats. It has a surprisingly large boot and a spacious passenger area; all this makes it the ideal car for transfers to the airport or the train station. 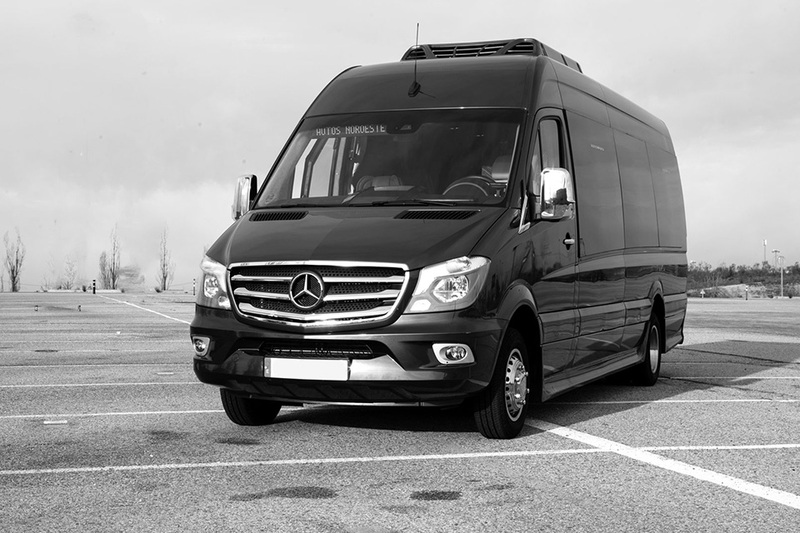 It is also the perfect means of transport for events such as congresses or for providing a company driver service that projects a prestigious image while offering passengers maximum comfort. 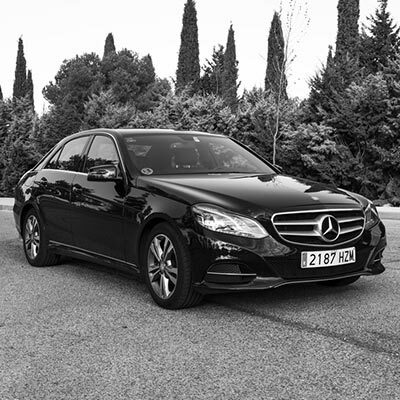 In this range we find the Mercedes E-Class, black-coloured and with leather seats. It is the Mercedes-Benz sedan par excellence, suitable for transport services in which, apart from comfort, you wish to give an impression of elegance. This is the most sought-after vehicle for transport services for company top management, for VIPs attending congresses or transport for people attending prize-giving ceremonies. It is highly demanded as a vehicle for the the bride and groom during weddings. The Mercedes-Benz Class S offers maximum luxury and performance. It is Mercedes’ most luxurious sedan, adapted to the needs of the most demanding clients who require luxury. This vehicle is adapted for transporting company top management and VIPs. Besides, it is highly appreciated by brides for weddings, as the groom tends to choose the former model, the first-class model being a favourite of the bride. This category comprises the Mercedes-Benz Viano, the Mercedes-Benz Vito and the Mercedes-Benz V-Class. They are black-coloured luxury minivans with leather seats and all the features necessary for comfortably transporting various passengers. This vehicle is perfect for transport to the airport or train station of passengers who have abundant luggage or who need more than a 4-seater. It is ideal for transferring people attending events such as congresses, conferences or weddings. 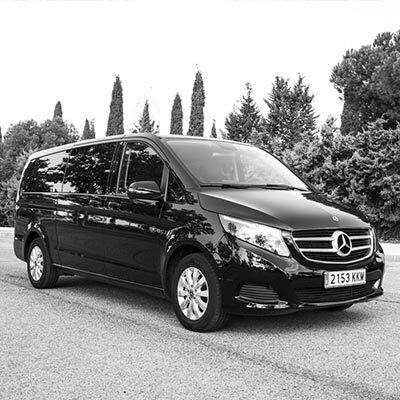 In this category you will find luxury minibuses with a capacity for between 12 and 60 passengers in the first-class range or standard models carrying from 18 to 60 passengers. Choose the vehicle that most adapts to your needs. This type of vehicles are used to transport people for events such as congresses, weddings, sightseeing tours, trips, etc.